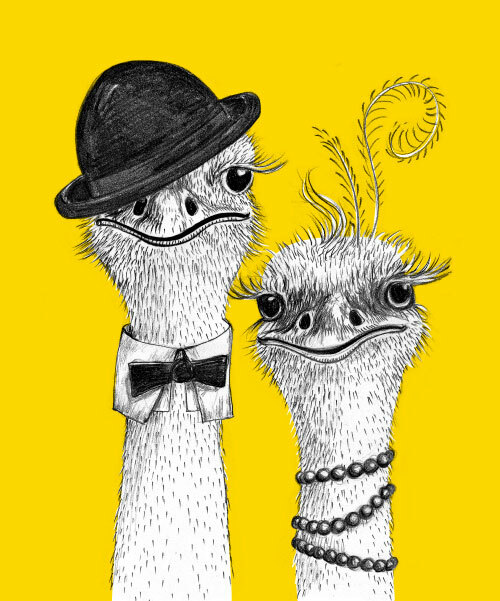 Our chum, Lady Ostrich, got us thinking the other day. She was sitting next to us at a bar, languidly chewing gravel (they do that), while Lord Ostrich shimmied on the dancefloor. ‘Did you know,’ she asked, ‘that we’re the fastest of all two-legged animals?’ Indeed, these avians can hit 70km/h (even off the dancefloor). And, so, we got to thinking about speed, and how it’s a thing these days. Usain. Hyperloops. Old men on skateboards. And then we imagined, entirely logically, how useful it would be to have a superfast way to whip up a cocktail. The result – trumpets please! – is Sir Fruit’s Cocktail Mixes. Deliciously made with only the good stuff, all you need do is add your favourite tipple. Or not. Entirely up to you. Now, if you’ll excuse us, we’re going to dance to Walk Like An Egyptian with two ostriches. Perfectly ordinary day at the office. Cheers! What you need- 6 shots Sir Fruit Pina Colada Mix (150ml), 1 shot of malibu (25ml), 1 shot of rum (25ml), ice. For a Virgin Pina Colada follow the same method but use 8 shots of Pina Colada Mix and exclude the alcohol.